Two Lamborghini super cars once owned by singer Rod Stewart are on sale for more than £1 million. A Lamborghini Miura 400S, which was bought by the singer in 1971, has undergone £100,000 worth of restoration to bring it up to 180mph SV specification. It is listed at £1.25m by Amari Supercars, which is selling the car after buying it from its previous owner. Stewart bought the car from a London dealer and the model comes with records of the original delivery and a photo of his then girlfriend, model Dee Harrington, with two Miuras. 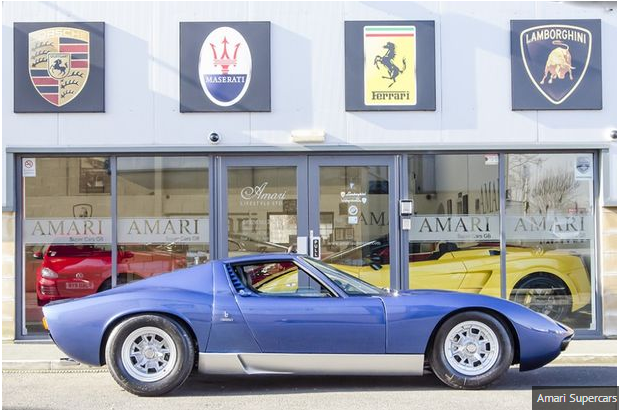 Ali Keyhani, head of operations at Amari Supercars, told the Manchester Evening News: “The Miura has been previously upgraded to the SV specification by a previous owner (after Stewart), and we have now completed the restoration by putting the car through an exhaustive detailing program of engine, engine bay, Iinterior, and of course, the exterior. The car is immaculate in every sense of the word. The super car dealership is also selling a Lamborghini Diablo VT Roadster once owned by Stewart as well as famous wrestler Kendo Nagasaki. 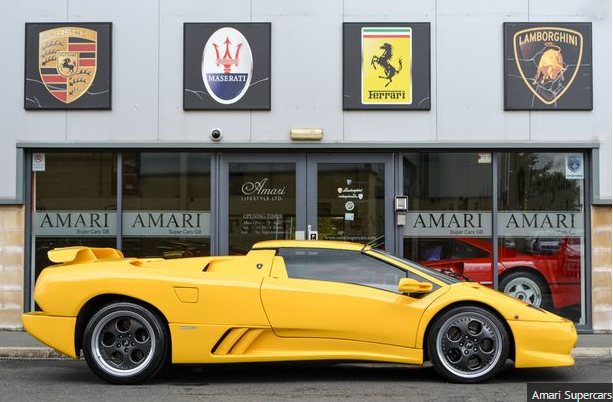 The two-door Diablo VT Roadster was built in 1999 and has been listed for £269,995. The car is one of only 20 right hand drive models ever made, and one of only four with fixed headlamps.